In my 15 years teaching photography I have been asked alot of questions, and most beginning photographers want to learn the basics: how to shoot manual exposure, how to get that blurry background, and "how do I see like my camera sees?". 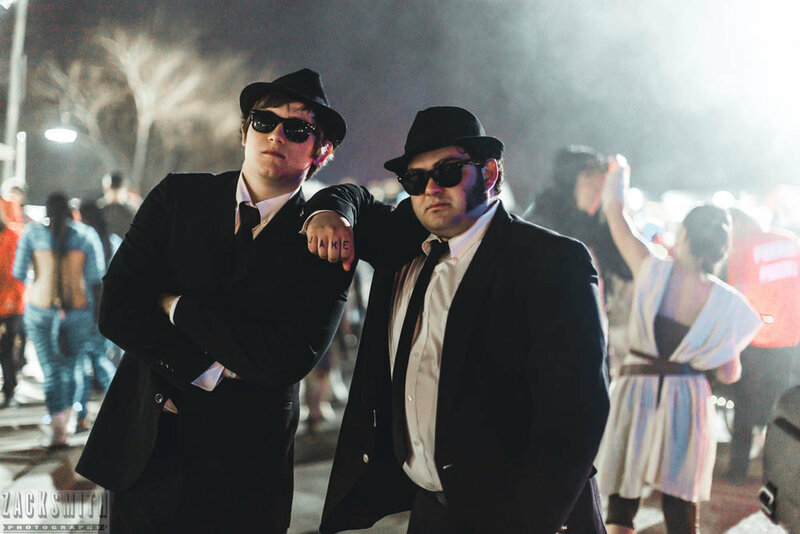 But once a year around Mardi Gras in New Orleans photographers want to know how to photograph some of the most difficult types of subject yet: moving objects in low light. 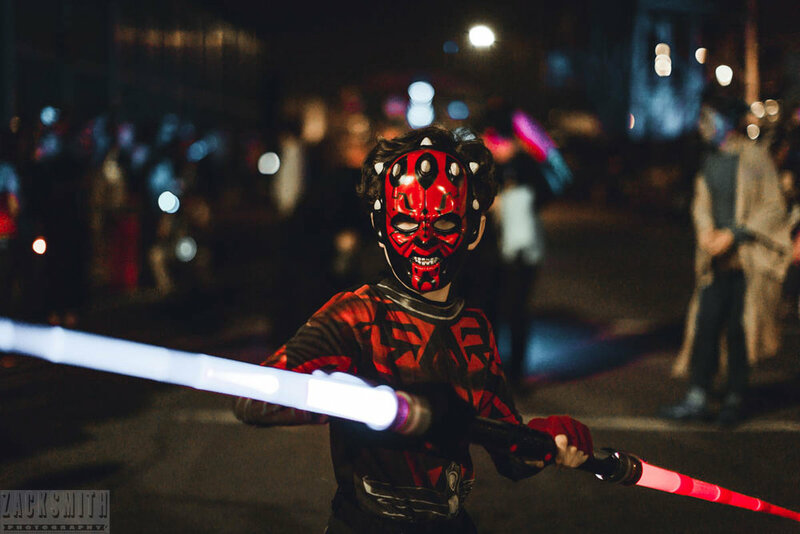 In order to best educate those that want to know how to photograph low light moving objects, I try to bring my photography workshop participants on a journey through time and space to a land of Aliens, Chewbaccas, Yoda's, and fantastic floats in the Bywater. 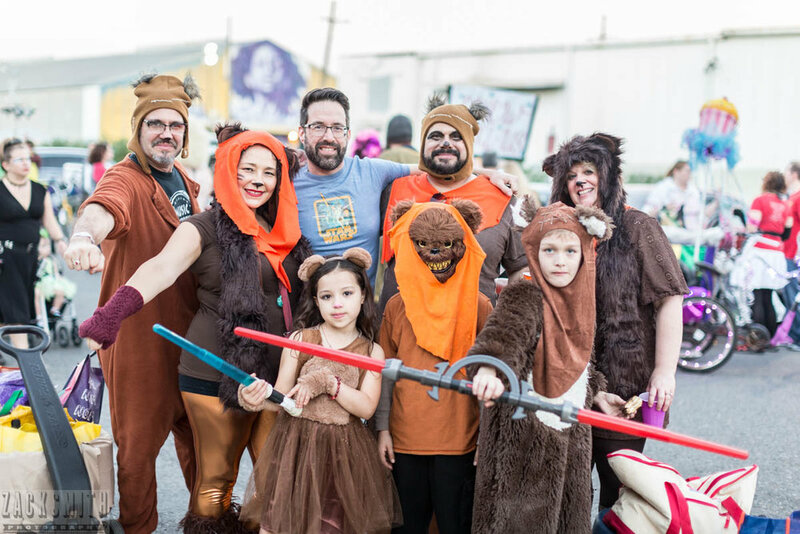 You guessed it: The International Krewe of Chewbaccus Parade. 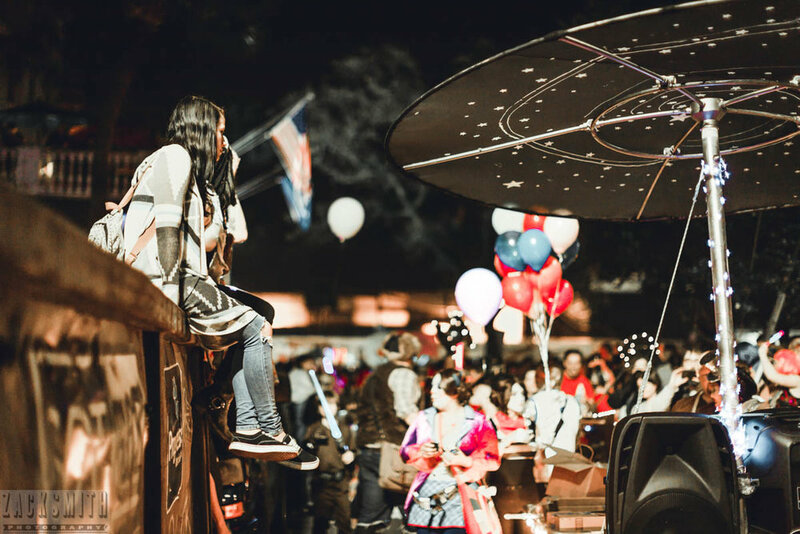 Each year we are over the moon interstellar-ly excited that the IKOC lets us peer into their amazing world of Wookies, spaceships, and Star Wars revelry. 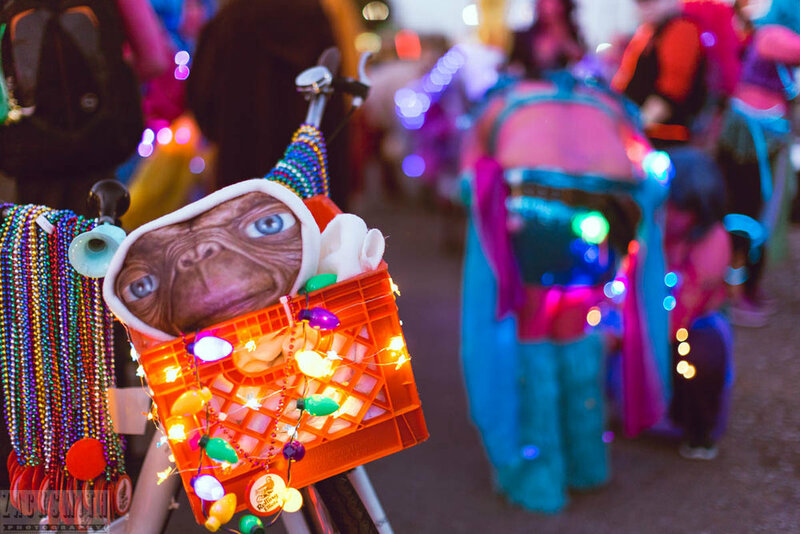 The costumes and floats in this parade are truly one of a kind and "Only in New Orleans". Each year this workshop is a joy to photograph and be a part of something memorable. I have been photographing Mardi Gras Parades in New Orleans since 2000 and has marched in more parades than I cares to remember (or can). For this parade we begin at the secret headquarters of the IKOC to document over 100 krewes and sub-krewes as they prepare themselves and their floats for the exciting route. 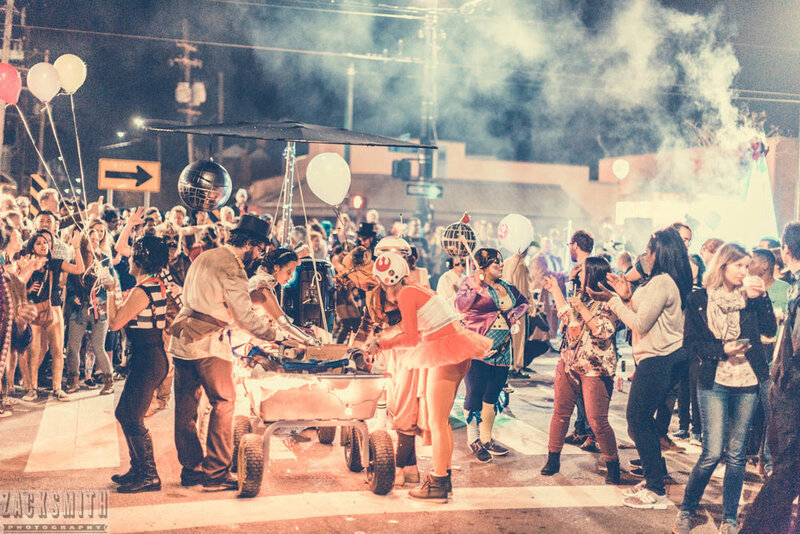 We follow the Krewe as they wind through the crowd filled streets of the city, finding the perfect vantage points to tell the best story of the parade and our great city! 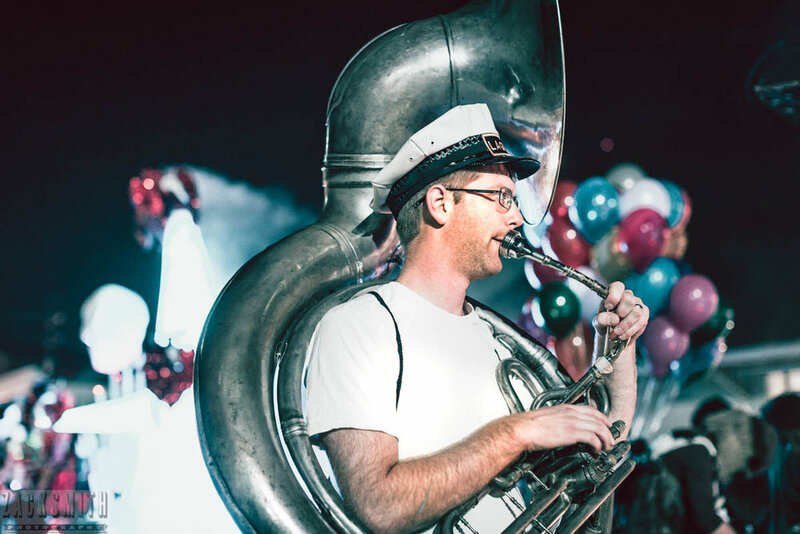 How to photograph a Mardi Gras parade? First; focus on what you know, and go from there. 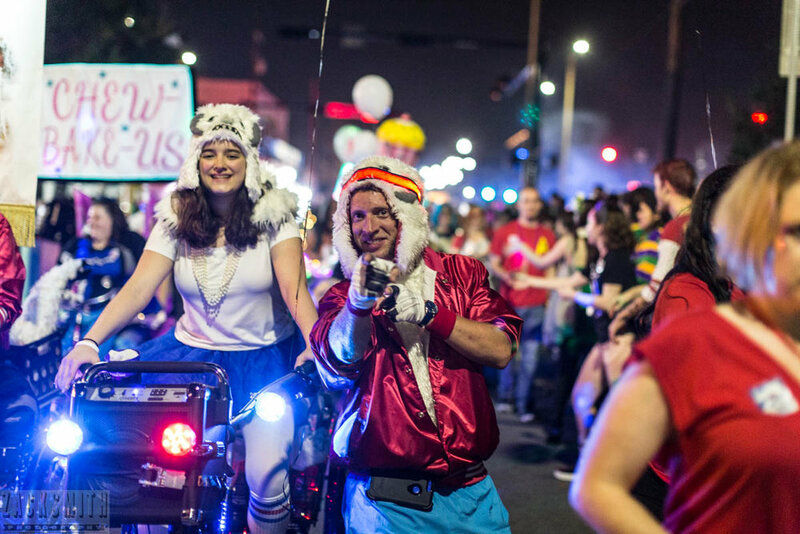 My suggestion to anyone wanting to get better at photographing Mardi Gras parades, or any marching, dancing, or moving entity, is to first shoot what you know. As a portrait photographer I usually see the faces and emotion before I see the big picture landscape scenes. I will walk up to people and ask if I can photograph them, and either capture a portrait or just a candid of them soon after. This way I can get comfortable approaching single people and then on to larger groups. 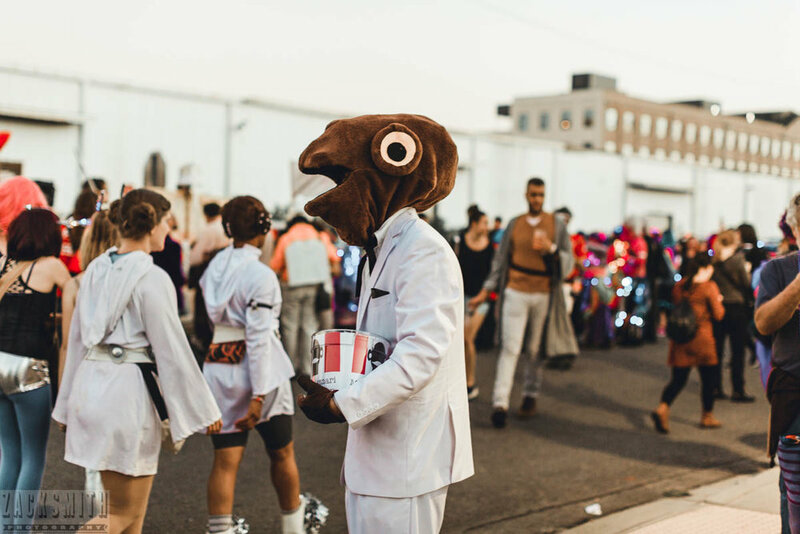 When the sun sets, usually fast, on a parade that usually means you are not too far off from beginning your march. 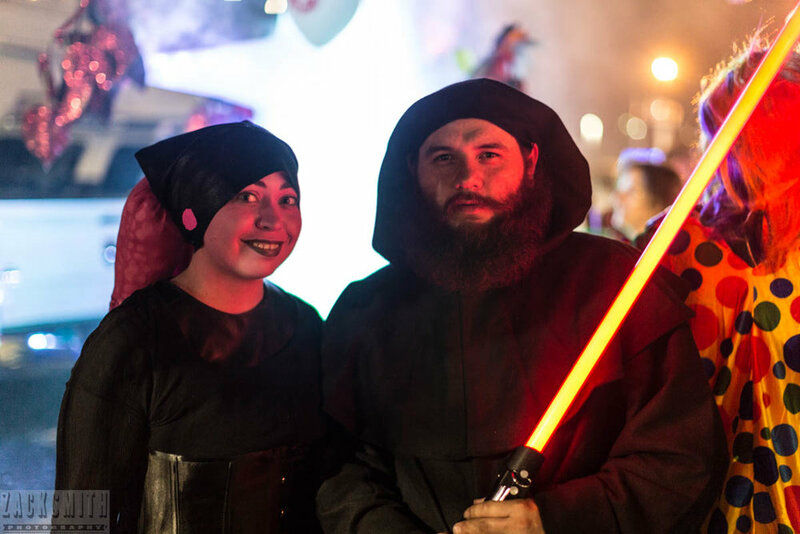 If you are marching with the parade, like we were for the Chewbaccus workshop, you can get accustomed to the speed of the crew and get your settings right. After the twilight hour has settled in, you notice that the artificial light has taken over as your dominant light source (or key light) for the rest of the parade. Whereas earlier you had the sunlight to light your portraits, now you have random, blinking, and sometimes glowing light sources. Difficult, yes. Impossible, never. Says Yoda. 1. You and your camera Must be Stable - taking your time to compose each shot and standing still at each exposure will ensure that you are not moving and making your images even softer by adding blur! Stay Still! 2. Turn ON Vibration Reduction and Image Stabilizer - most newer lenses and zoom lenses come equipped with VR/IR to help stabilize the lens when you are moving ever so slightly. This feature does NOT stabilize or help freeze the subject you are shooting. Remember that! 3. Move at the Speed of your Subject - I find that if you are shooting at shutter speeds of 1/30 - 1/4 it helps if you are moving at the speed of your subject. This will help keep your subject sharp but blur the background which can result in some crazy cool movement! 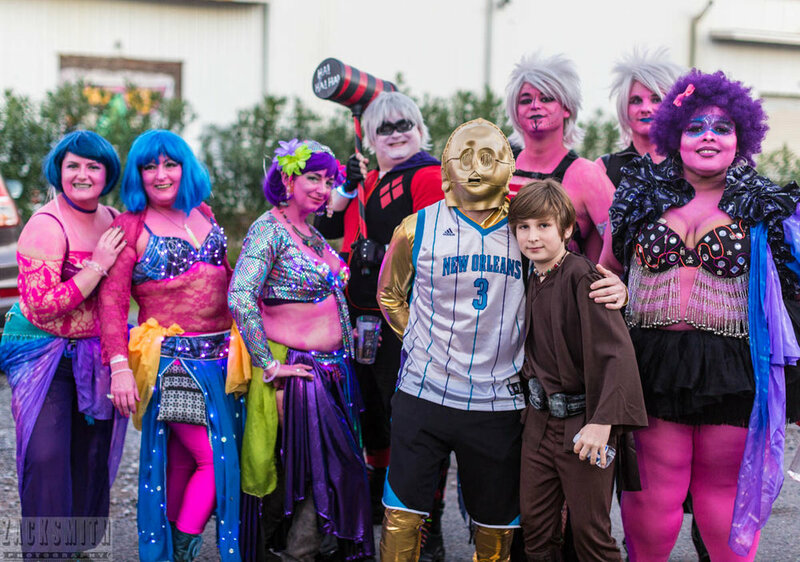 Enjoy this Gallery from Chewbacchus 2017! SHARE this post with friends in the Krewe!